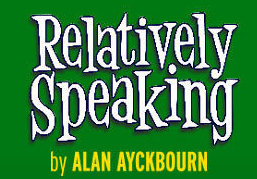 Relatively Speaking by Alan Ayckbourn. Socialise from 7:00 pm – start reading at 7:30 pm. In 1960s London, couples are swinging, some more than others. Greg is paying a visit to Ginny’s parents to ask for her hand in marriage. Blithely misinformed, he arrives at the home of Philip and Sheila hoping they’ll give their blessing. But no-one is quite what they seem and nothing quite goes to plan. In this perfectly paced comedy of misunderstandings, Alan Ayckbourn expertly weaves an exquisite entanglement that will leave you guessing to the last minute.